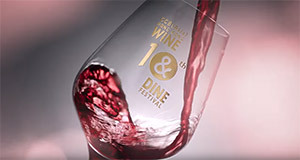 Celebrating its 10th edition, the CCB (Asia) Hong Kong Wine & Dine Festival returns with world-class food, drinks and entertainment right next to the stunning Victoria Harbour skyline. Enjoy wine-pairing meals designed by master chefs, tasting classes by industry experts, about 450 booths featuring everything from single malts to single-origin coffee and a nightly light show with 100 drones over the harbour. *Ticket sales and admission will close 30 minutes before the festival closing time. Click below to get the latest news delivered to your inbox. We've received your subscription request, and will send the latest updates straight to your inbox.